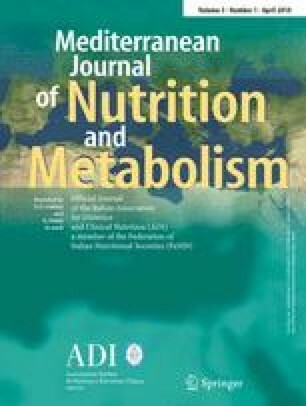 The aim of this study was to comparatively evaluate the long-term effects of psyllium husk and guar gum supplementation on metabolic syndrome (MS) components. We randomised 141 MS patients to soluble psyllium husk powder or guar gum 3.5 g t.i.d. to be taken 20 min before the main 2 meals, or to a standard diet for a cumulative period of 6 months. Both fibres significantly improved body mass index (−7.2% vs. −6.5%), fasting plasma glucose (−27.9% vs. −11.1%) and insulin (−20.4% vs. −10.8%), HOMA Index (−39.2% vs. −16.7%), glycated haemoglobin (−10.4% vs. −10.3%), low-density lipoprotein cholesterol (−7.9% vs. −8.5%) and apolipoprotein B (−10.5% vs. −5.6%), after 6 months of treatment. Only the psyllium supplementation exerted a significant improvement on plasma triglyceride concentration (−13.3%) and systolic (−3.9%) and diastolic blood pressure (−2.6%). No significant difference was observed regarding the standard diet group in comparison to the baseline. On the basis of our data, psyllium could be more strongly indicated for patients that have to reduce a large number of cardiovascular risk factors, while guar gum could be more rapidly efficacious in strengthening the effect of diets aimed at reducing body weight.